Is there any way to implement Tree View in Xamarin forms ? If yes then please let me know how ? Hello im using danvanderboom treeview and i want to show a devexpress grid at level4 so when ever i add itemsource to the grid at level4,stackoverflow exception is throwing can anyone help me with this?? It's very simple. No custom rendering. The link is broken in your last post. Can you please check on this and post an update for it. We're very interested in your Treeview control. I found the TreeView example provided further up a little too difficult to implement. I have specific separations and conventions going on in the app and I felt like implementing this would need a lot to be adjusted to get it working. I'll give Adapt.Presentation a go and see if it works out better for me. Hey @ShafiqJetha , I didn't seem to find the Adapt.Presentation TreeView, do you have any link of file that points towards the control? Because I don't see anything related to a TreeView on this repo. hey @Juansero29 . I wasn't able to get that working and we ended up going in a different direction with the layout anyway. 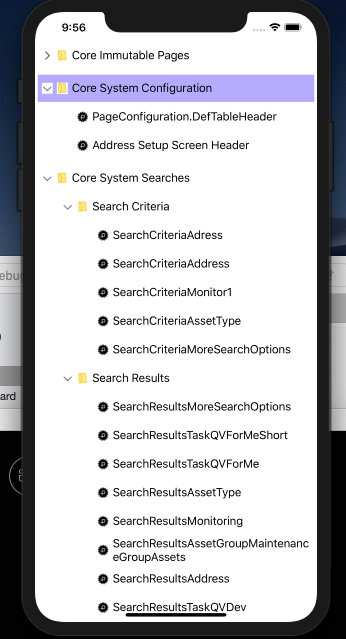 Syncfusion released new treeview control for xamarin in their latest version. @vimall - In the above link there is a space between the controls/ and treeview. Ensure to copy paste without space to redirect to website. Hey people. The original repo I uploaded the TreeView to has been removed, but here is the TreeView again by itself. 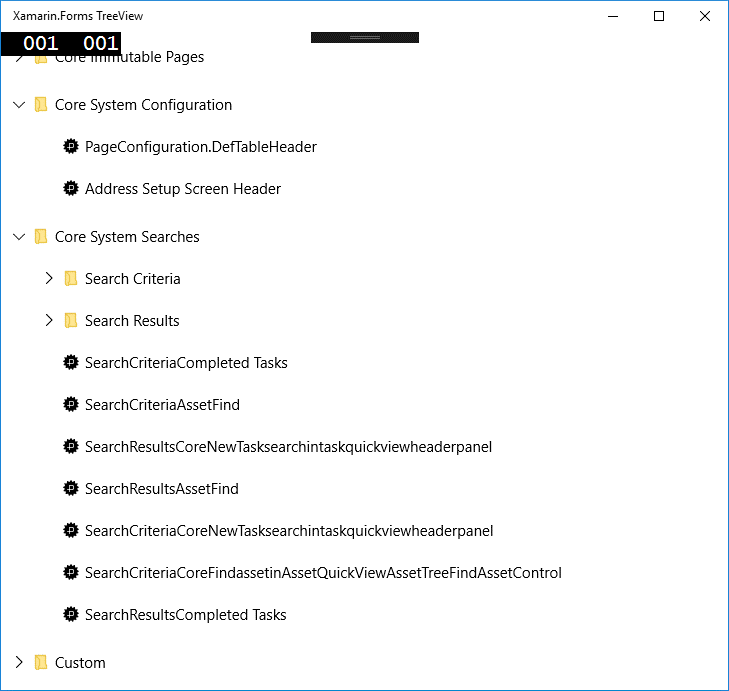 It's been dusted off and the object model is the same as the UWP TreeView. Check it out. @MelbourneDeveloper I cannot run the iOS sample. It builds, but I get "Cannot find embedded resource...." error. Hmmm..... It's running fine for me on MacOS. Have you tried compiling it on MacOS, cleaning NuGet cache, Git Clean, and full rebuild?